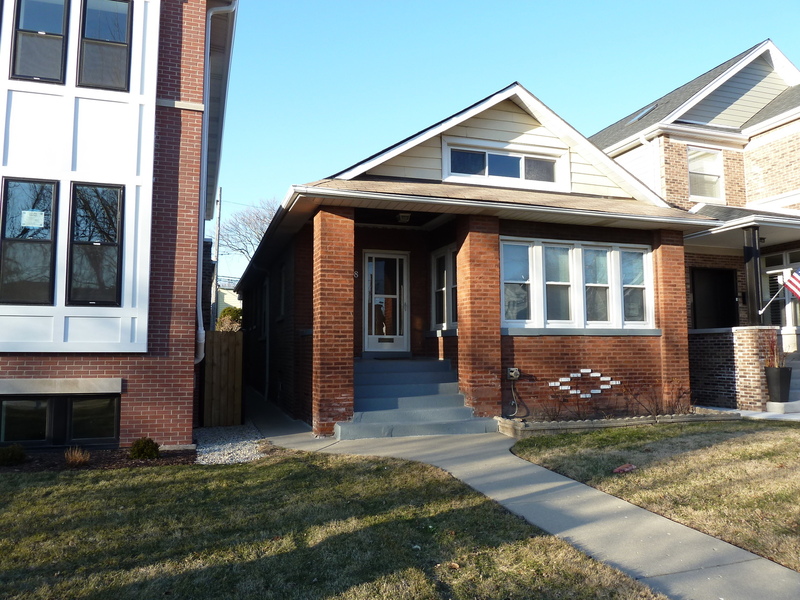 Opportunity is knocking with this well-maintained brick bungalow located in the desirable North Center neighborhood. Quiet street with ample parking and less than a block to Chicago&apos;s Riverwalk and just a couple of blocks from fitness center, daycare, and shopping. This 3 bedroom home has 2 full baths, full finished and heated basement, and a 1st floor family room. The spacious living room is light and bright, there is a separate dining room for entertaining or family dinners. Newer appliances and a gourmet stove in the generous kitchen. Newer 2 car garage with alley access and a comfortable and easy to maintain backyard. This home is ready for your decorating or will make a great foundation for a larger rehab project just like the neighbors. Come see it today.